Documenting the current State of the Arts in Summit County was an important part of the process in order to not only establish a baseline to track future progress, but also to highlight the significant value that Arts and Culture has on our health, well-being, economy, and overall quality of life. The assessment outlines the broad impact of Arts and Culture across four key areas: personal, community, economic, and public spending. 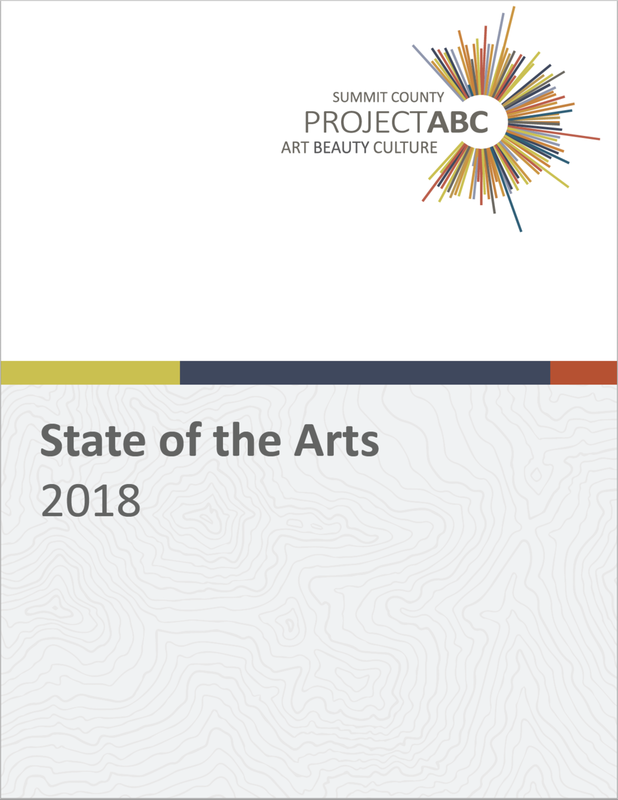 The State of the Arts was created using a combination of findings from the Project ABC survey, workgroup sessions, Steering Committee meetings, stakeholder interviews, and a review of local economic data. The Stakeholder Profiles represent the aggregate of what Project ABC data found about each key stakeholder group. These profiles were developed through a combination of survey responses, interviews, workgroup meetings, and one-on-one conversations. The profiles outline the values, needs, pains, and dreams of each stakeholder group. They do not represent the specific input of any single person or organization, but rather a combination of viewpoints and perspectives of people and organizations within each group. The profiles include data tables documenting survey responses by stakeholders. As part of Project ABC, eight communities were studied as benchmark sites. Each of these locations offered different lessons and insights about the future of Arts and Culture in Summit County and included: Ketchum, Idaho; Boise, Idaho; Ogden, Utah; Santa Fe, N.M.; Breckenridge, Colo.; Boulder, Colo.; Telluride, Colo.; and Asheville, N.C.
• Reputation for existing or up-and-coming Arts and Culture. For each community, a range of topics were considered through a combination of Internet research, interviews with local community Arts and Culture leaders, and a review of Arts and Culture master plans or similar documents.